Delightful Designs by Danielle: A 100th Birthday Card! I was asked to make a '100th' Birthday card for a lady who still enjoys putting on make-up, doing her hair and feeling good! Mmm, I had to rummage through my stamps to fit this bill then I remembered this gorgeous Charleston dancer image from The Stamp Barn. I coloured with my copics and as the lady is ethnic I used appropriate colours to give her an ethnic skin tone. I decided on an easel card just to add extra glamour to the card. I wanted to use lace to add the touch of 'vintage' but also added 'rhinestones' for the glitz of turning 100 and still feeling glamorous at this age - I hope it worked! Papers are from stash and the ribbon is SU! chocolate chip taffeta. The birthday sentiment is from The Stamp Barn and the flower is a cream aster from Wild Orchid Crafts. We are enjoying an absolutely gorgeous day at +16oc and the boys are on the front driveway chalking with their dad!! I'm about to join them with my cup of tea! Enjoy the rest of your day whatever you choose to do and thanks so much for your visit. I appreciate any comments that you leave - and all I can say is that I hope I can look and feel this glamorous if I ever have the privilege of turning 100!!! LOL! Wowzers... you totally nailed the vintage,elegant feeling! This is amazing! Wow 100! Your card is beautiful and really elegant Danielle, she will love it! the layout and colours. A wonderful card for a very special occasion. Danielle this card is perfect for a lady turning 100!Love the papers and the image is colored so beautifully and is perfect for the occassion!Fantasticswirls and lace! OMG Danielle this is stunning and so elegant!!! It fits the bill perfectly!! Love everything about it!! Gorgeous card Danielle, so elegant, the DP is perfect! Wonderful card Danielle brilliant image and details, so perfect for the occasion. Wowzers 100! That is totally amazing and so is your card Danielle! She will adore this just so very elegant and beautiful! Danielle, this is simply gorgeous. I am sure the birthday girl will love it. A very fitting image. Danielle, I bet this lady has never ever received such an elegant card in her 100 years! She will truly treasure the beauty you have put into this card. You have nailed this one so well girl!!!! I love the paper, the gorgeous rhinestones...and the pretty little image all coloured to perfection!!!! LOVING that GORGEOUS lace you placed on there as well! Oh heck Danielle..I simply LOVE YOUR CARD! This is gorgeous Danielle, what a beautiful easel card! Oh I love that image Danielle! This card is stunning! Absolutely stunning card Danielle...what an amazing age...100...wow! A really elegant card Danielle, the image is beautiful and I love the crystal flourishes...I am sure it will add to the special day of the lady...reaching the age of 100 is really something to celebrate! Wow this is lovely Danielle, love what you have done, amazing! WOW what a perfect 100th birthday card!!!! i love all the bling and the lace you put and that image is fabulous!!! Great job Danielle. This is such a beautiful card Danielle! I love that attention is all on the image. which is perfect and just right for your Aperture Card. Beautiful colouring and choice of DP. Congratulations.....so sad you're leaving TMITA! Being here in Aus I am upside down right!!!! for their Mag. 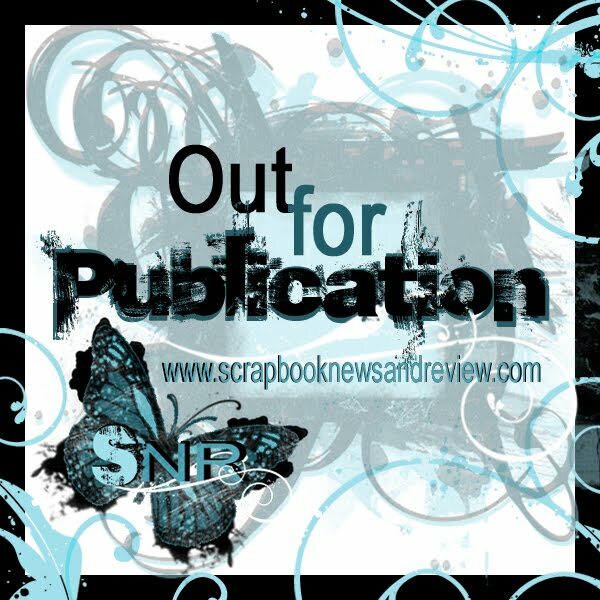 here cands@scrapbooknewsandreview.com.